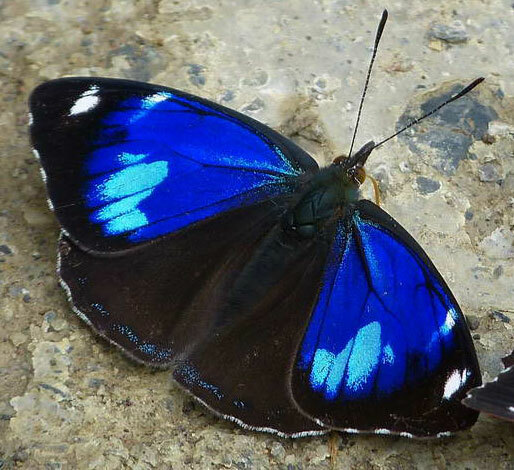 Peru has arguably the highest diversity of butterfly species on the planet, with some 4500 recorded species. This tour concentrates on the famous Manu road in the Manu Biosphere Reserve in the south-east of the country, which takes us through the wonderful Cosñipata valley, and along the upper reaches of the Madre de Dios river. The area is justifiably legendary among the birding community, and is rapidly making a name for itself as a premier butterfly site: some 2360 species have been recorded in the immediate vicinity. Day 1. The tour begins this evening at the airport in Lima, Peru. We will spend this night at a very comfortable 4 star hotel conveniently located immediately opposite the main terminal building at the Lima airport. Day 2. An early morning flight from Lima, at sea level, takes us to the UNESCO World Heritage Site of Cusco, the historic capital of the Inca Empire from the 13th into the 16th century. We may have a chance to appreciate the magnificent colonial architecture and Incan ruins upon our return, but today we must press on immediately as we face a long but rewarding journey to our first destination. Cusco lies at nearly 11,000 feet above sea level, so shortly after leaving the airport we will appreciate the stunning mountain scenery, with views of many snow-covered peaks exceeding 20,000 feet. During the 3.5 hour drive to Paucartambo, where the tarmac road ends, and before our final climb to the top of the Manu road, we will stop for occasional photos, firstly at Huacarpay lagoon, where we hope to see endemic Rose-spotted Andean-Sulphurs (Teriocolias pacis) and at a pre-Inca site with the ruins of Ninamarca cemetery, where we are likely to see some butterflies such as sulphurs in the genus Colias and high altitude whites in the genus Tatochila. Beyond Paucartambo the road is unpaved for the whole of the remaining 75 miles – providing perfect conditions for butterfly puddling. Fairly soon, there is a sharp bend with a stream at 10,400 feet. For 1500 feet before this there is a landslip with lots of overflowing stream water, and plenty of nice puddling butterflies on the rocky gravel to entertain everyone perhaps including Falcate Pericloud (Orophila diotima), Gray-clouds Pericloud (Perisama morona moronina), colorful dartwhites (Catasticta), including Gold-streaked Dartwhite(C. cora), Andean Silverspot (Dione glycera) many skippers including skipperlings in the genus Dalla, and the huge and magnificent Bucking Firetip (Metardaris cosinga). Continuing from Quebrada Chusa the road rises to its highest point at Abra Acjanaco (11,500 feet), where we hope to find Inca Fritillaries (Yramea inca), resembling northern fritillaries in the genus Boloria, and gleaming Silver-fronted Silver-Satyrs (Argyrophorus lamna), and then descends 2,000 feet or so very quickly in a series of switchbacks to 9,500 feet. Along this switchback section, with low elfin forest, we will see many choice pronophilines including the spectacular pale gray, green, and brown Marbled Junea (Junea doraete) and sumptuous, chestnut White-patched Lasio (Lasiophila piscine) many beautiful and rare dartwhites, including Black-patched Dartwhite (C. cinerea), Graphic Dartwhite (C. poujade), Superb Dartwhite (C. superba) and lovely Black-and-yellow Dartwhites (C. marcapita). 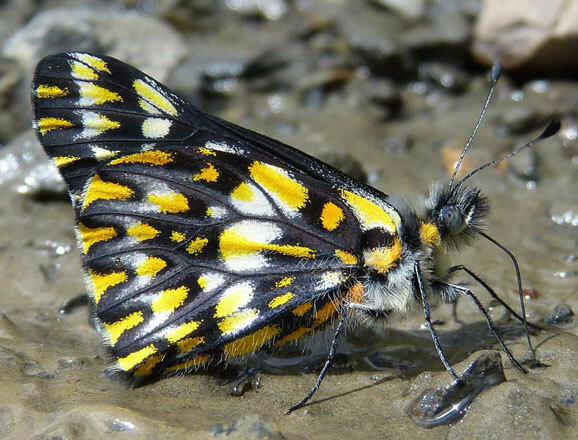 We may also see other unusual pierids such as Gold-celled White (Mathania aureomaculata), and rare species of high-elevation gossamerwings in many genera such as Jagiello, Pons, Thecloxurina, Abloxurina, and Podanotum. We may also see the giant clearwing Methona maxima, the highest ever reported site for a ticlear (ithomiine) anywhere! 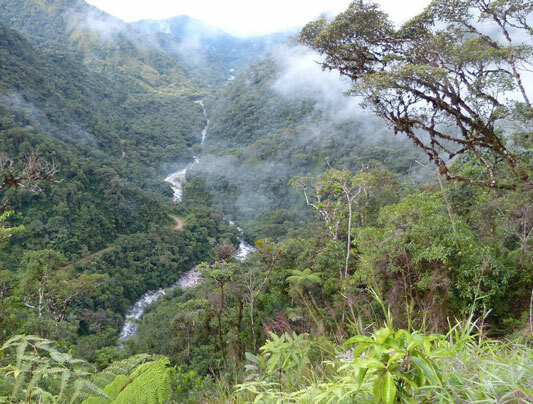 The road then continues to descend gently for around 60 miles, firstly into the Cosñipata Valley, and then into the basin of the upper Madre de Dios River. As we descend slowly, the uninterrupted and dense montane forest increases slowly in stature and majesty, each branch bedecked with a multitude of large bromeliads and clothed with clinging moss. The gravel road is crossed repeatedly by streams that provide superb regular stops for puddling butterflies, including the stunning multi-tailed Cloud-frosted Swallowtail (Papilio warscewiczii) and the exquisite lilac and fuchsia Orion Leafwing (Polygrapha tyrianthina). Night in the comfortable and newly renovated, Lodge 1, on the middle Manu road. Day 3 through Day 4. 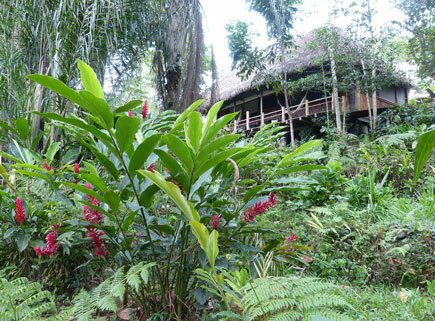 With its pleasant location at 4,500 feet, set in gardens directly in the cloud forest, where we have up to five Morpho aurora swirling togethe,r will be our base for many days of butterflying. The seclusion and sounds of the forest and soothing rush of the river make for restful sleep, and waking in the midst of prime butterfly habitat means that you can rise early and walk out of your front door and find beautiful butterflies (and hummingbirds and monkeys!) in the garden and all along the main road on both sides of the lodge. Metalmarks we could see include the gaudy deep blue and pink spotted Blue-bordered Metalmark (Necyria bellona), the glorious blue-white and red Tricolor Beautymark (Ancyluris formosissima), several silver-flecked jewelmarks including the want-to-be-seen, furry-legged Matto Grosso Jewelmark (Anteros aerosus), and the brilliant orange and black Griffon-winged Metalmark (Cariomothis erotylus). 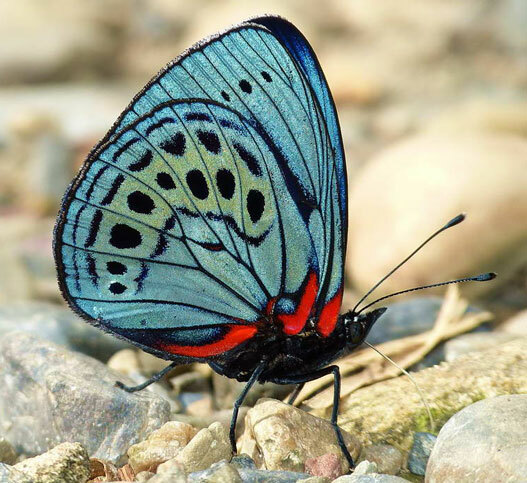 Brushfoots to be hoped for include delicate Lilac Morphos (Morpho aurora), the huge and rare Superb Owl-Butterfly (Caligo superbus) with its stunning blue-shot upper surface. Up to thirteen species of periclouds (Perisama) have been found here, including two with all-blue upper forewings – Brown-and-blue Pericloud (P. calamis) and White-streaked Pericloud (P. philinus). And then there is the quiet, but beautiful, Silent Pericloud (Perisama carmelita) and the truly stunning Purple Pericloud (Perisama clisithera). Daggerwings and sisters often abound and we will definitely hope to see a Twisted Sister (Adelpha saundersii). 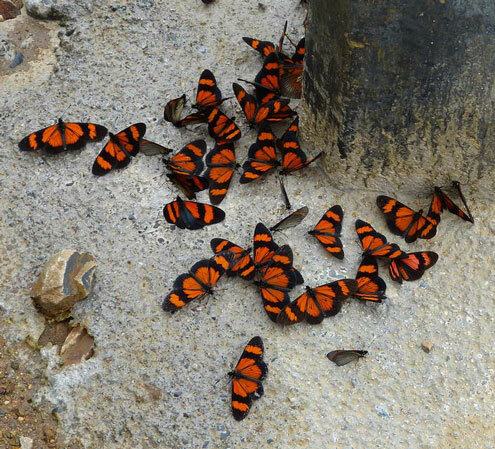 And, crowded swarms of actinotes, such as Wide-bordered Actinotes (Altinote negra), can be spectacular. 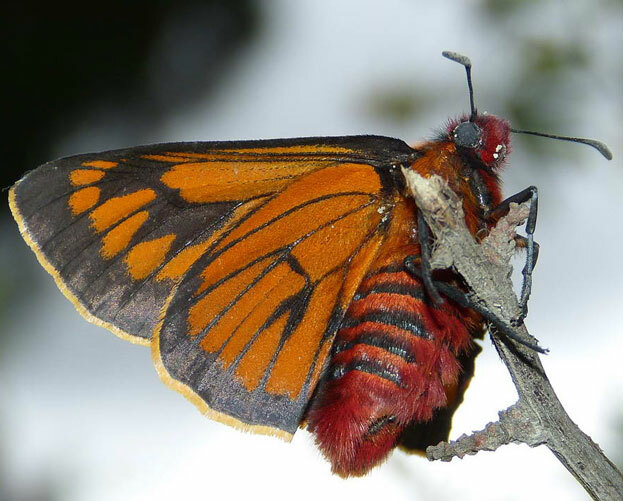 Some of the skippers we might see are wonderful, richly-colored, large, blue, orange, and red firetips such as Orange-rayed Firetip (Pyrhhopyge kelita), Red-lobed Firetip (Aspitha agenoria) and Dimorphic Firetip (Croniades pieria), whose males are bright orange and whose females are bright blue. Nights in Lodge 1. Day 5 through Day 9. On the morning of day 5 we will drive about 1.5 hours further down the road, reaching our second lodge. These comfortable and large, new all-wood chalets are set at around 1600 feet above sea level, with expansive views over the edge of a large lake. Here we have secondary forest within easy walk of the lodge, and primary forest is accessible, albeit considerably further (the reserve covers an area of 7,574 acres (3,065 hectares)). Apart from wandering the accessible trails, we also intend to use the reserve as a base to explore the lower Manu road, especially the excellent 10-mile section beyond this lodge towards the small port of Atalaya. In the grounds around the lodge the local and generally rare orange and black Arrowhead-bordered Heliconian (Heliconius pardalinus) is usually a common sight alongside the free-flying pet macaws who sit around eyeing the guests with knowing looks! A long list of hairstreaks is found in this vicinity. Just a few possibilities are Garnet-spotted Hairstreak (Hypostrymon asa), a number of janstreaks (Janthecla) and the delectable Psychedelic Hairstreak (Thestius meridionalis), black-banded with gold and resplendent blue-green. 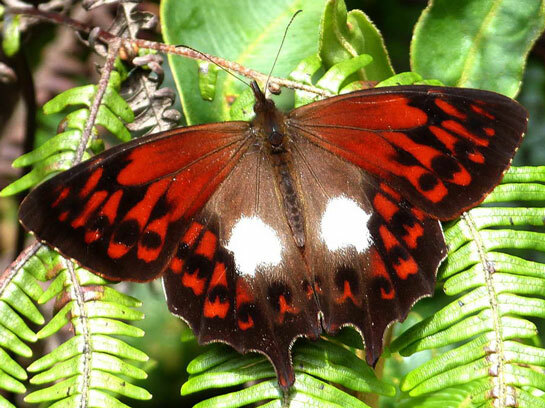 Metalmarks known from the area include the transparent and bee-like Red-tailed Clearmark (Chorinea octauius) with its transparent red-spotted swordtails, the delicate Blushing Sombermark (Euselasia authe). Many kinds of sheenmarks are possible, including Radiant Sheenmark (Eurybia nicaeus), Cerulean Sheenmark (Eurybia caerulescens) and Great Sheenmark (Eurybia patrona). The occasional gaudy, green, blue, and fuchsia-spotted Semicherry-bordered Metalmark (Lyropteryx apollonia) is always the star of the show! Brushfoots might include the impressively large Placid Owl-Butterfly (Caligo placidianus) with giant owl-like eye spots, and shy morphines such as the leaf-like Ursatyrical Morphet (Antirrhaea taygetina). Also seen in the reserve are four species of beauties in the genus Baeotus, including the iridescent blue-banded Elegant Beauty (Baeotus aeilus). Along the trails we have spotted a cornucopia of rare and beautiful satyrs, including many all-blue species such as Two-eyed Blue-Satyr (Caeruleuptychia lobelia) and the rare White-spotted-gold Splendid-Satyr (Splendeuptychia aurigera). We may see sailors, such as the iridescent satin-green Thick-rimmed Sailor, (Dynamine chryseis), and eighty-eights such as the large (for an eighty-eight) Duck-head Eighty-eight (Callicore cynosura), with its dramatic blood-red banded upper surface. 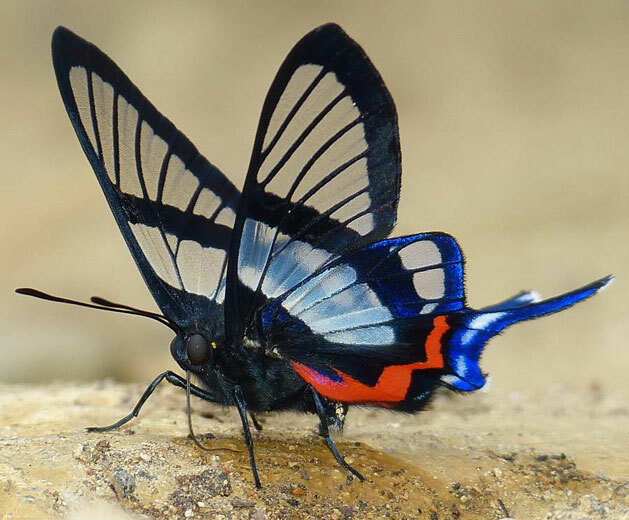 Magnificent and richly adorned, blue, green and red Black-peaked Satinwing (Asterope leprieuri) have been seen regularly, as are deep blue, high-flying Falcate Morphos (Morpho rhetenor) which, if we are lucky, will come down for a refreshing drink. A huge array of skippers occur here. 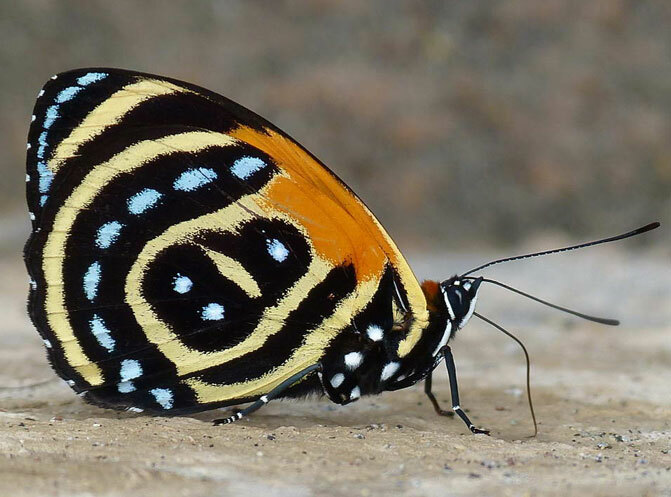 These include several species of glorious blue-striped large firetips in the genera Jemadia and Elbella (along with unrelated, but look-alike beamers), and the rare Square-spot Firetip (Protelbella alburna). Nights in Lodge 2. Day 10. After spending this last day exploring the area at 1600 feet, we will return to our first lodge late in the day. Night at Lodge 1. Day 11 through Day 13. Based in our first lodge, we will revisit the locations that proved to be the most productive on our first leg. We will also take the opportunity to wake early and travel to the top sections of the road to seek out the rare and unusual species, such as Bolivian Yellowmark (Baeotis creusis) that fly there. Nights at Lodge 1. Day 14. After butterflying the upper section of the road for the last time, we will travel back toward Cusco, staying overnight in the nearby town of Pisac, famous for its Incan ruins. Overnight in a comfortable hotel next to the Urubamba River, surrounded by beautiful mountains. Day 15. We will fly from Cusco to Lima where participants will connect with their flights home. The tour ends at the Cusco airport. However, for those with eveing flights from Lima, we can arrange a day tour in the Cusco area to the ancient Incan sitesof Sacsayhuaman, followed (time permitting) by Tambomachay, with its complex of waterfalls and aquaducts in a peaceful verdant valley. 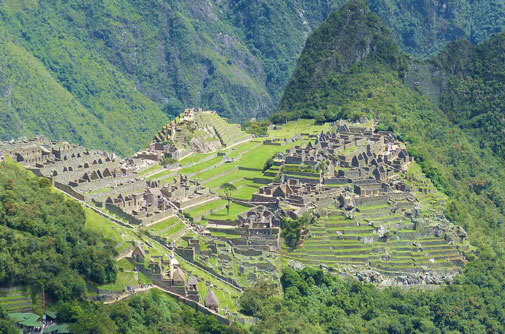 Cost of the trip is $5195/person from Lima. Cost includes double-based accommodations, meals (except, because of staggered arrival times, dinner the first night), ground transportation, airport transfers, tour leader fees and entrance fees. Not included are alcoholic beverages, laundry services, and other items of a personal nature. Single supplement is $995. This trip is limited to 8 participants.